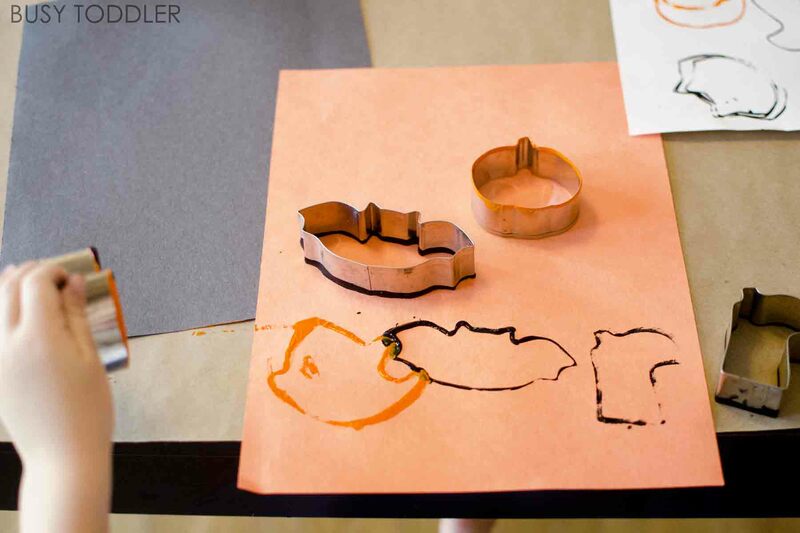 It doesn’t take much to set up this Halloween-inspired stamp art project. 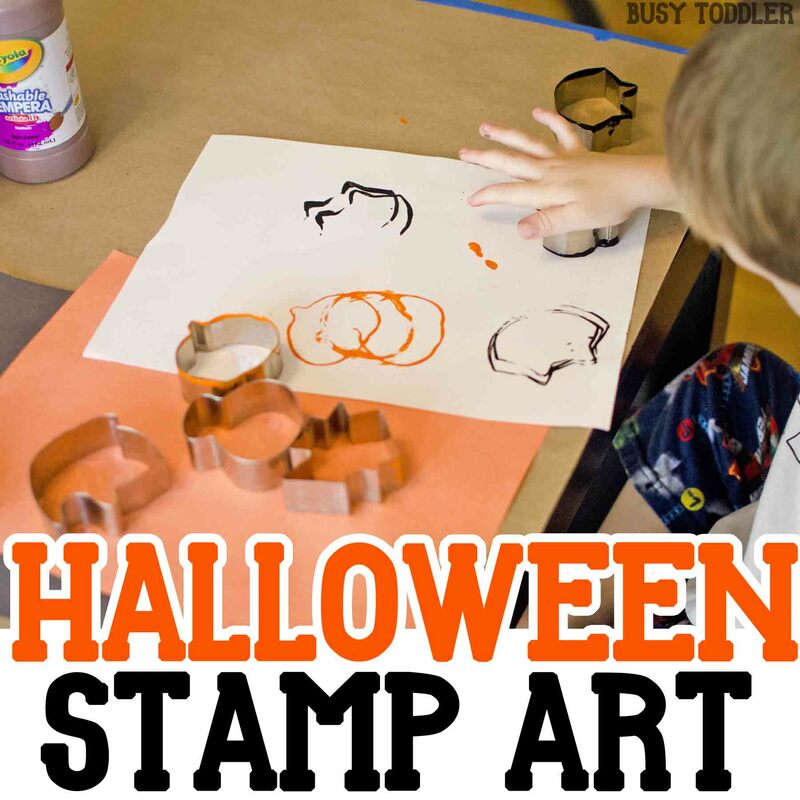 Toddlers will love the fun of stamping and creating Halloween art! 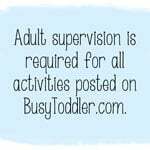 I love doing simple Halloween activities with my toddlers. Need some more ideas? Try Pumpkin Fizz and Pumpkin Bath. The set up for this activity couldn’t be simpler. 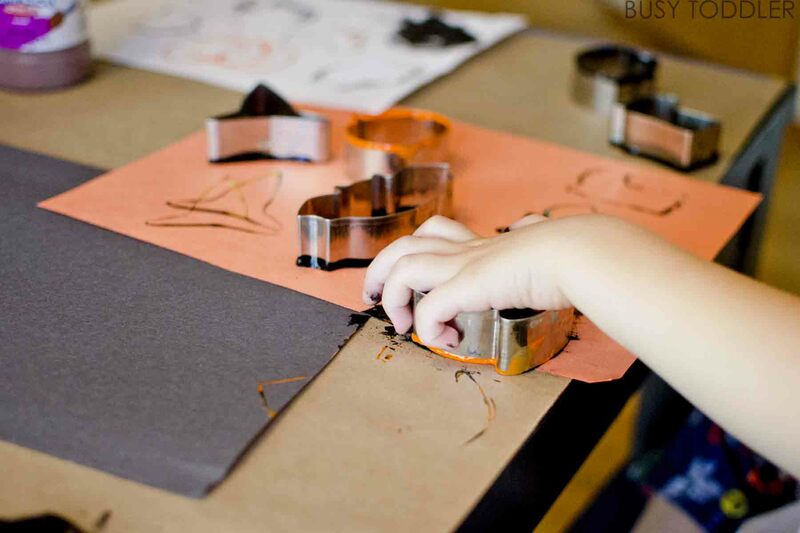 Grab your Halloween cookie cutters, some paint, and a stack of paper and get ready for some fun. 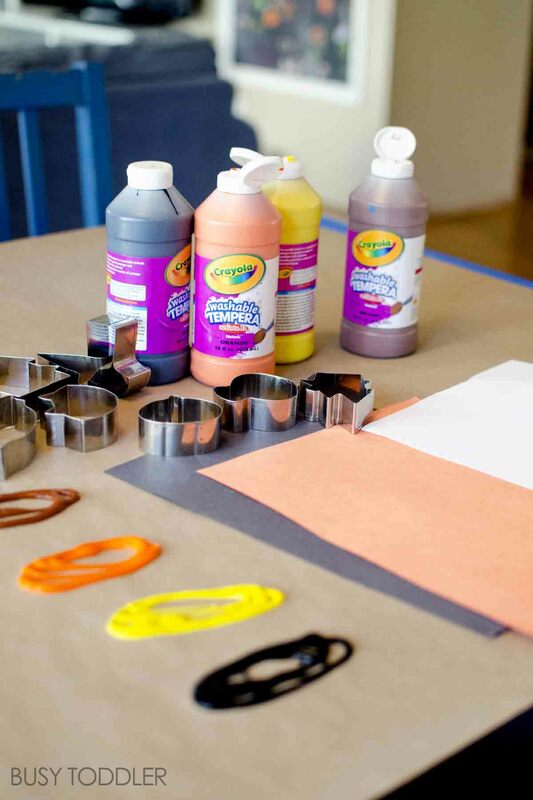 I covered our table in kraft paper (affiliate link) and squirted out “fall color” paint right onto the paper. I also poured out our cookie cutters and had a stack of construction paper at the ready. I made sure to model for my 3 year old exactly how to get the paint onto the cookie cutter (by lightly rubbing it around) and stamping it onto the paper. The first time he used cookie cutters for painting was back when he was 29 months old so it had been a while since he had worked with this art technique. Looking for a quick way to make Halloween cards for grandparents? 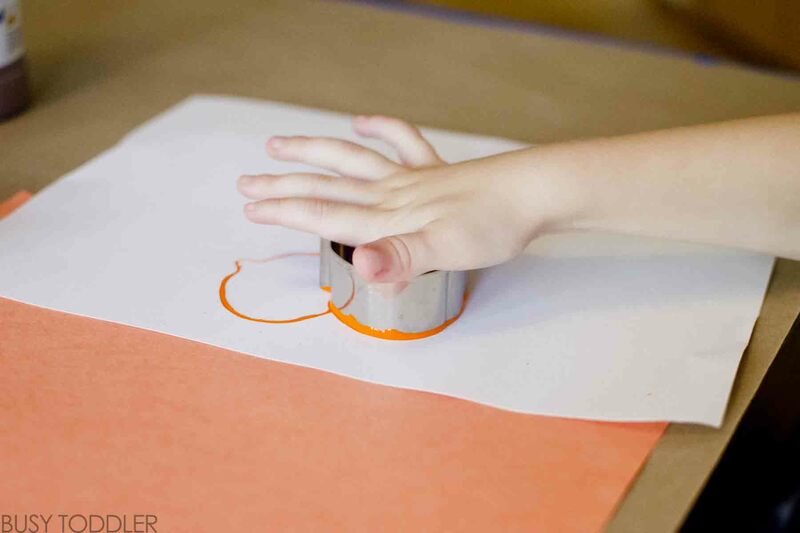 Use this stamp art activity. 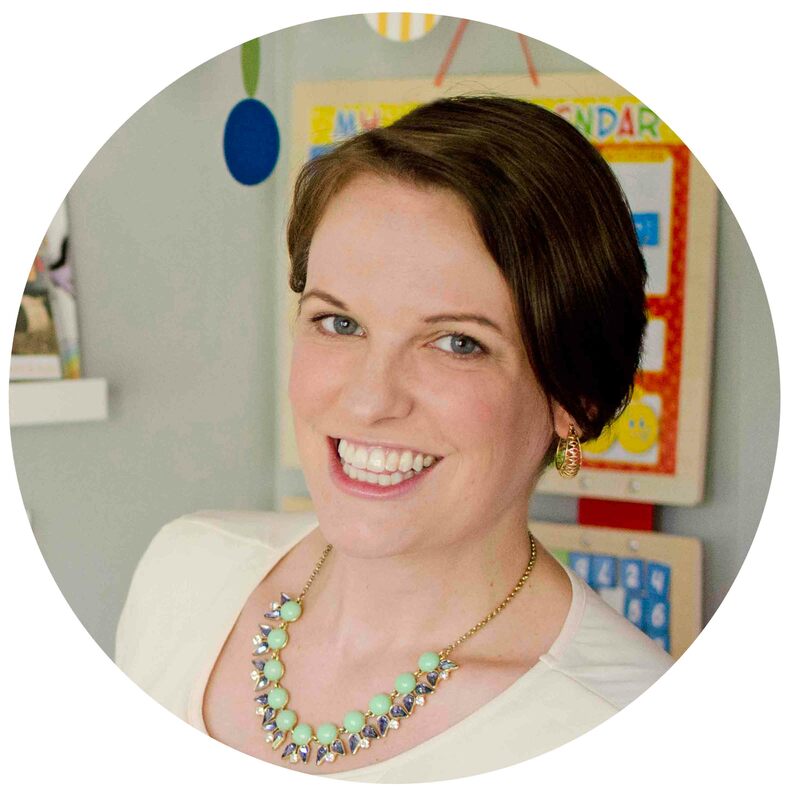 The end result is toddler-adorable and ready to be made into simple cards. Making cards for grandparents is actually one of my 25 Fall Bucket List ideas for toddlers. Setting up this Halloween stamp art activity was a great way to spend the morning with my toddler and definitely helped get us to nap time. The cookie cutters went into the dishwasher, the toddler went into the bath tub and all was cleaned and back to normal in under 5 minutes! 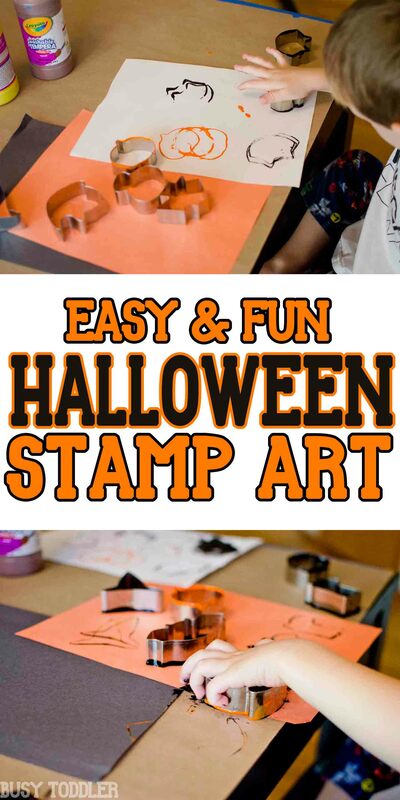 Try this easy Halloween stamp art activity with your toddler!